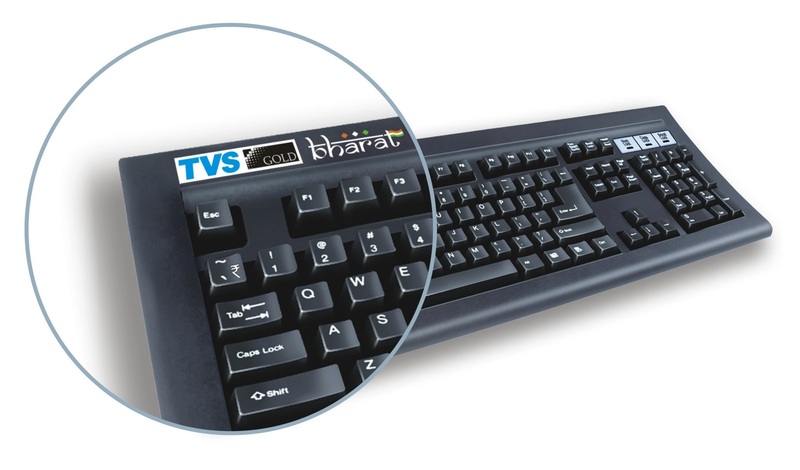 Last month the New Rupee Symbol was announced to the world and now we even have a prototype keyboard with the rupee symbol etched on it from TVS electronics. TVS electronics unveiled the first prototype of the TVS Gold Bharat on the 15 August which will sport the new Rupee symbol placed on the left side button besides "1" or the first key in first line which has the ~ symbol on it. The Keyboard is priced at ` 1,495. Wondering how i got that new Rupee symbol font..
Click this link -How to get the Rupee symbol font.